The QSC KLA AF12 Tote Bag is ideal for transporting your KLA AF12 array frame providing lightweight but heavy duty protection for your investment. 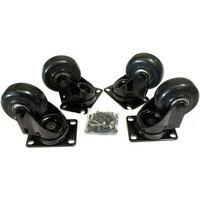 Soft thick padding ensures the array frame is protected during transportation and storage. Also featuring carry handles and an external pocket for storing any accessories you may need. 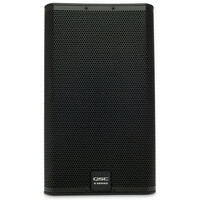 The QSC K12 features a 12″ woofer with a nominal coverage angle of 75 degrees great for small-medium sized venues. Weighing just 18.6kg the speakers in the K Series are very light compared to similar competitors but deliver excellent sound quality making them perfect for situations where rigging/derigging or transportation is a big consideration. Multiple mounting and suspension options allow for a wide range of live and installed applications and multiple input options make the K12 a very flexible PA system. 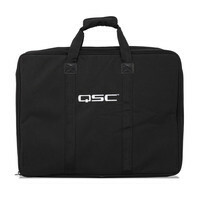 This bundle contains 2 x QSC K12 active PA speakers 2 x QSC K12 padded tote bags and a pair of speaker stands with carrying bag. 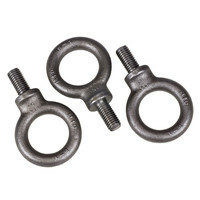 The QSC K10 Mounting Yoke is a powder coated steel yoke for mounting the K10 vertically or horizontally to walls beams or other structures. Please note this item was returned unwanted from a customer. The original boxing is scuffed and all the seals are broken. 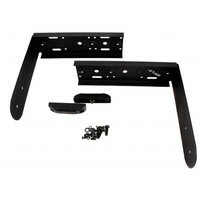 Otherwise the unit itself looks and operates as new and has only been used a couple of times.This is a great opportunity to buy a fully functioning product at a discounted price supplied with a one year warranty.Software bundled with the original new product may have been registered or may no longer be included. The KW152 Active PA Speaker is a multi-purpose loudspeaker that represents the next evolution in wood enclosure loudspeakers. Incorporating all the groundbreaking electronic attributes of the K Series the KW152 offers 1000W of Class D power as well as maximum clarity and speaker efficiency. Enjoy more headroom less distortion and a reduced chance of feedback with a 15″ woofer 1.75 diaphragm compression driver and maximum SPL of 133 dB peak. The KW152 has an attractive and professional appearance with the rugged texture-painted birch enclosure with tour-grade 16 gauge steel grilles. The speakers in the KW series are easy to transport between venues thanks to their lightweight design and comfortable ergonomic handles. 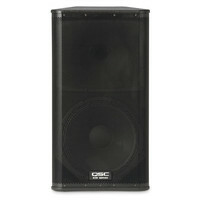 The QSC K8 features an 8″ woofer with a nominal coverage angle of 105 degrees great for small-medium sized venues. Weighing just 12.2kg the speakers in the K Series are very light compared to similar competitors but deliver excellent sound quality making them perfect for situations where rigging/derigging or transportation is a big consideration. Multiple mounting and suspension options allow for a wide range of live and installed applications and multiple input options make the K8 a very flexible PA system. 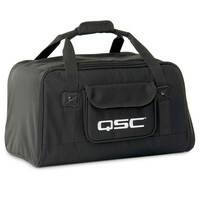 Free Gear4Music Padded Tote Carry Bag included with the purchase of a QSC K8 Active PA Speaker. 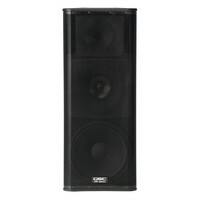 The QSC K Series speakers feature dual drivers with a maximum SPL of 130 dB peak great for small-medium sized venues. The speakers in the K Series are very light compared to similar competitors but deliver excellent sound quality making them perfect for situations where rigging/derigging or transportation is a big consideration. Multiple mounting and suspension options allow for a wide range of live and installed applications and multiple input options make the KSub and K12 package a very flexible PA solution. This bundle includes 2x QSC K12 active PA speakers 2x QSC KSub Active PA Subwoofers 2x 6m XLR – XLR cables and 2x 3m XLR – XLR cables. The KW153 Active PA Speaker is a multi-purpose loudspeaker that represents the next evolution in wood enclosure loudspeakers. Incorporating all the groundbreaking electronic attributes of the K Series the KW153 offers 1000W of Class D power as well as maximum clarity and speaker efficiency. Enjoy more headroom less distortion and a reduced chance of feedback with a 15″ woofer 6.5″ midrange woofer 1.75 diaphragm compression driver and maximum SPL of 134 dB peak. The KW154 has an attractive and professional appearance with the rugged texture-painted birch enclosure with tour-grade 16 gauge steel grilles. The speakers in the KW series are easy to transport between venues thanks to their lightweight design and comfortable ergonomic handles. The QSC E12 Passive PA Loudspeaker is a portable 500W 15 PA speaker featuring a 1.5 high-frequency driver. This passive loudspeakers compact design makes it ideal for a range of live applications the 2-way 500-watt passive speaker features QSCs Directivity Matched Transition (DMT) technology that produces a 75-degree coverage area increasing the throw and response of the audio. The E15 is also highly responsive in the low end with a low response of 59Hz meaning it can be used as a front of house speaker. 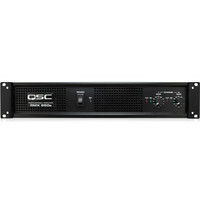 The QSC K10 features a 10″ woofer with a nominal coverage angle of 90 degrees great for small-medium sized venues. Weighing just 14.5kg the speakers in the K Series are very light compared to similar competitors but deliver excellent sound quality making them perfect for situations where rigging/derigging or transportation is a big consideration. Multiple mounting and suspension options allow for a wide range of live and installed applications and multiple input options make the K10 a very flexible PA system. 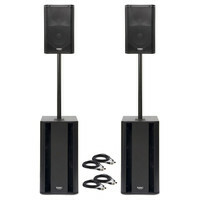 This bundle includes 2x QSC K10 active PA speakers and a pair of PA speaker stands with carry bag.